First responders of all types got a chance to trade their typical mode of transport for a day and test drive several different alternative fuel vehicles, including LPG, CNG, PHEV and electric motorcycles, on a closed track. 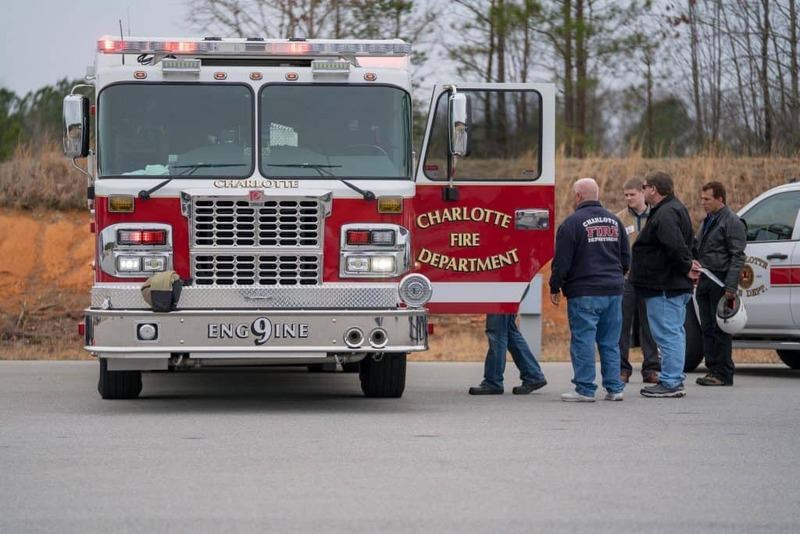 About 60 first responders attended First Responder Clean Transportation Demonstration Day at the NC Center for Automotive Research (NCCAR), where they got a chance to learn about alternative fuel vehicles and clean transportation technology applications for law enforcement, fire and rescue, and emergency medical services. 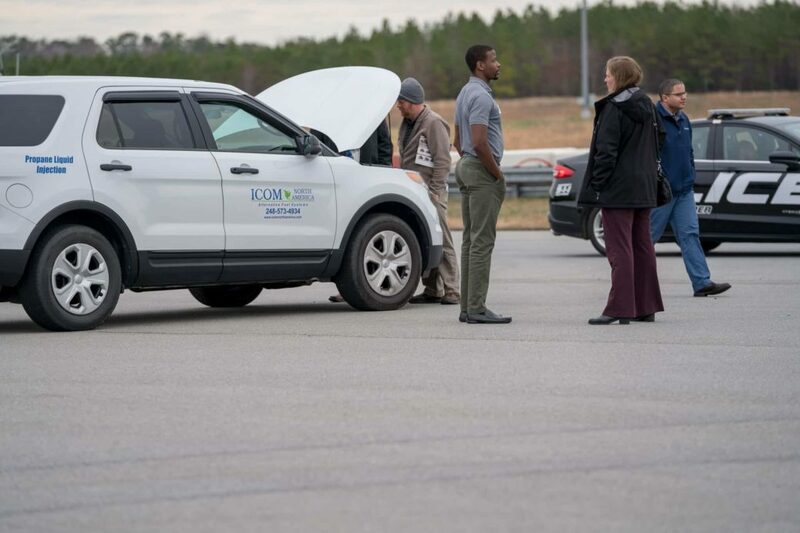 The day started out with testimonials, real-world case study presentations and learning sessions, and was followed by vehicle test drives on NCCAR’s closed 2-mile, 40-foot wide serpentine road course in Garysburg, NC. 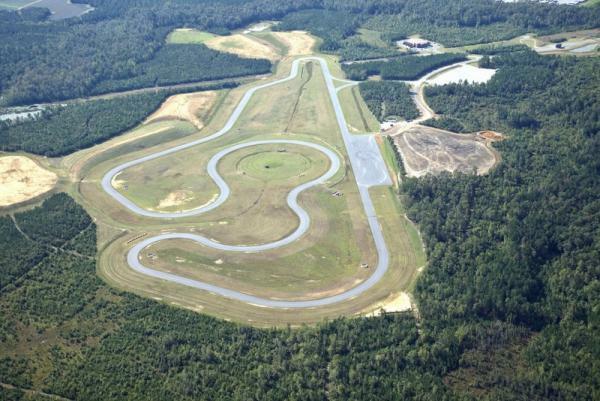 Most attendees took a lap around the track, said Richard Sapienza, Clean Transportation Program Director at North Carolina Clean Energy Technology Center – many reaching more than 100 MPH. The vehicles at the event were two Ford Explorer Interceptors, a Ford F350 PU, Chevy Tahoe, Ford F150 PU, Police Plug-In Focus and two Zero Motorcycles. The idle reduction technologies on display included a Smeal SG-09 APU Fire Truck, ZeroRPM REV Group Ambulance, Stealth Power Chevy Police Tahoe, and LGS Group Vehicle Technologies. 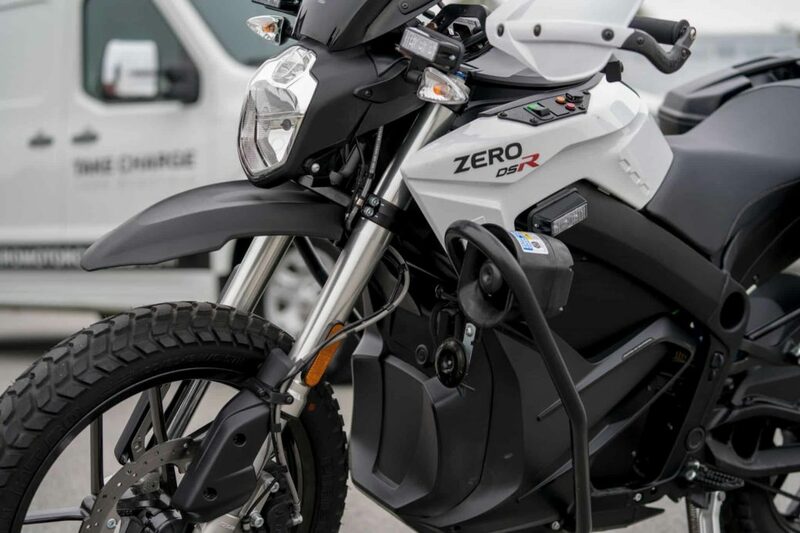 The two Zero Motorcycles featured the Z-force motor — a single moving part with no fluid, clutch or transmission, according to www.zeromotorcycles.com. Several attendees commented on both the motorcycles’ ability to pick up speed quickly while also remaining strikingly quiet, especially when comparing to most gas-powered motorcycles’ recognizable rumble. The ambulances and fire trucks used idling technology, which minimizes the amount of time vehicles need to idle and allows them to use less of their engine or generator. Attendees learned that all of the alternative fuel technologies could be used to save money, improve efficiency and extend vehicle service life. Because of the event’s success, NC Clean Energy Technology Center hopes to repeat a demonstration day in the future.